Although I haven't read the first two books in the series, they are now on my list. 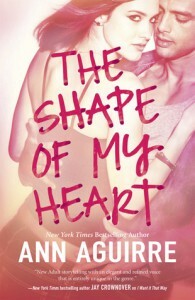 The Shape of My Heart has everything I love in a new adult book. Smart, real characters with lessons to learn and some steamy romance scenes. Courtney and Max are roommates and friends. When tragedy strikes Max needs support and turns to Courtney. Over the course of their trip they both realize they are more than friends but don't act on it. Friends falling for each other is one of my favorite tropes, mostly because I think it's a very natural progression in a lot of relationships. Who hasn't had a crush on a friend at some point? Aguirre give us some unique backgrounds for both Courtney and Max which creates tension in some predictable ways. I like Courtney, but I didn't immediately love her. I was happy to see her grow and take control of her life despite her overbearing family and tragic past. Max has his own demons to deal with and though the story is told from Courtney's point of view, you learn a lot about him. If you have read the other books in the series, I recommend picking this one up as well. 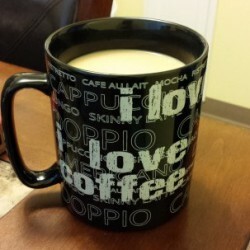 It was great as a standalone too!